We are delighted to share our Tuesday posting designer, Lisa Somerville. She is rocking the eBrush for a spooky Halloween! She wowed us with her super Halloween collection! Hi, and welcome to the Craftwell Blog! 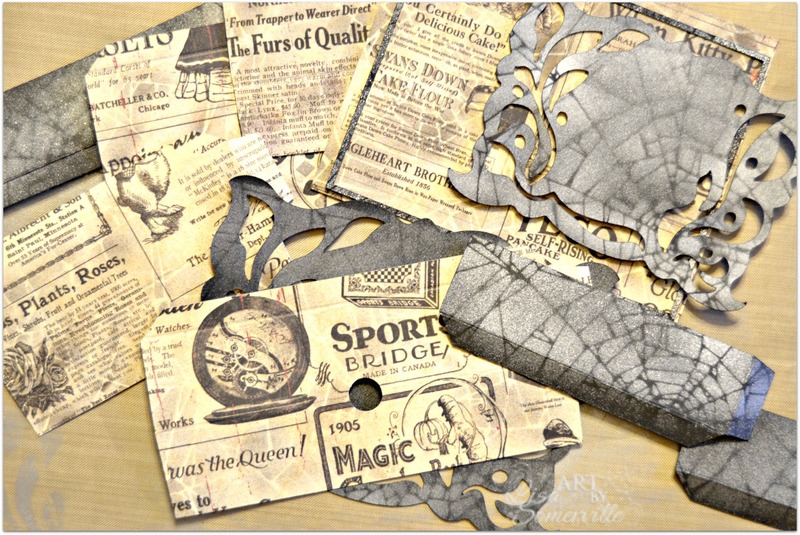 Lisa here today, as it's my turn to share on the Craftwell Blog using the eBrush! 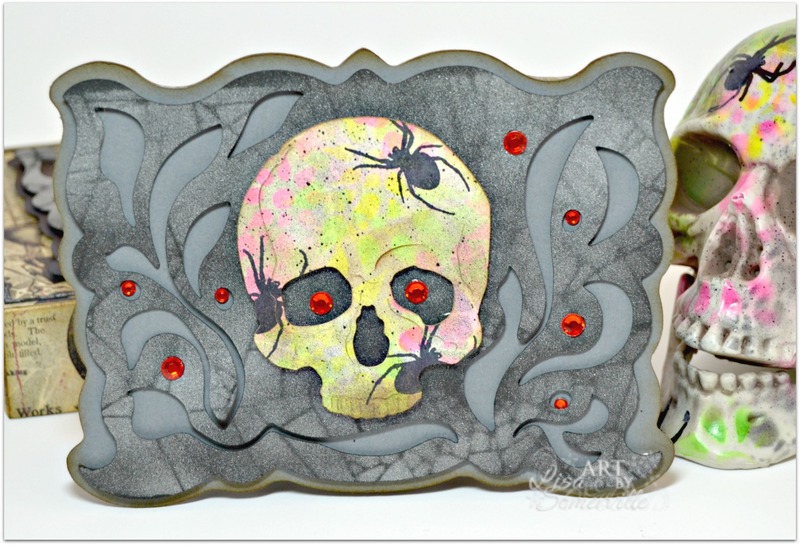 Our theme for this month is Halloween, I've created a Halloween card, gift box and altered Home Decor piece using the eBrush, stencils, markers, stamps and some cut files. Here's what my project pieces and home decor piece looked like before adding details with the eBrush. Working on a non-stick craft mat for easy clean up, I used the eBrush and the Sharpie Adapter, along with a Black marker from STAEDTLER to add stenciling to the pattern paper panels using the Shattered Glass Stencil. I used a Silver Fine Tip Sharpie and the eBrush to add the same stencil to the Black card stock panels. 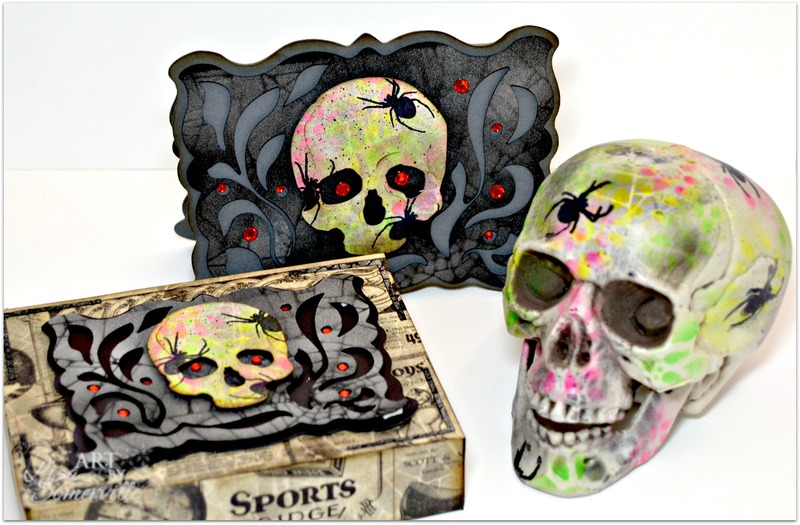 To add color to the skull die cut panels and the Home Decor skull, I used the eBrush with the Sharpie Adapter and Neon Sharpies, spraying the color through a flower stencil. After the flowers were added, I added more stenciling using the eBrush, Black marker and Shattered Glass Stencil, then randomly stamped a few spiders in Archival Black ink using the Gothic 31 (retired) stamp set from Artistic Outpost. When airbrushing the projects, I wanted some of the areas to have flecks of Black, thus the random stray dots you see. 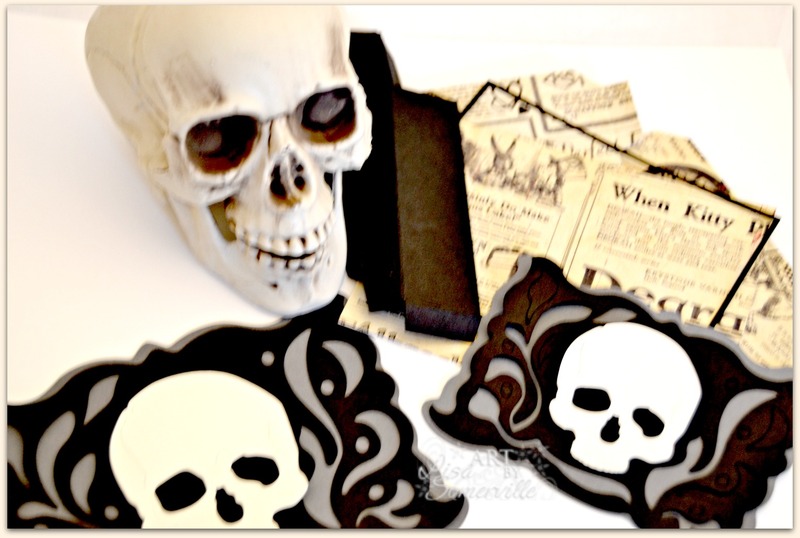 I hope my projects have inspired you to so some Halloween crafting! 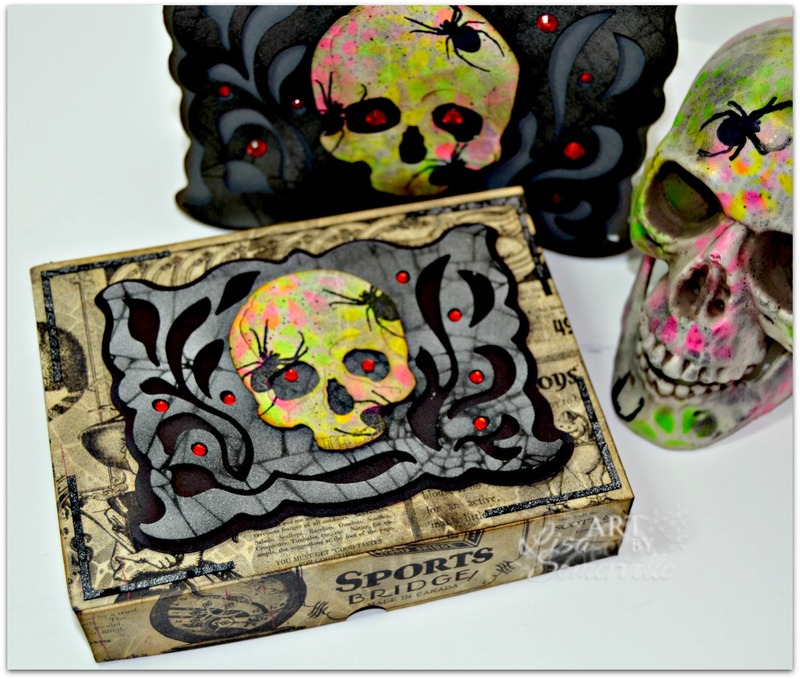 Lisa has rocked the eBrush world with her triple play project! Please visit her blog . Don't forget to join Facebook Group , eBrush by Craftwell for more eBrushing fun. What GREAT projects! I always thought the eBrush was cool but I wasn't sure how I might use it in my crafting. You sold me on it for sure. These are awesome! Thank you! I had fun creating these projects! These projects are great! 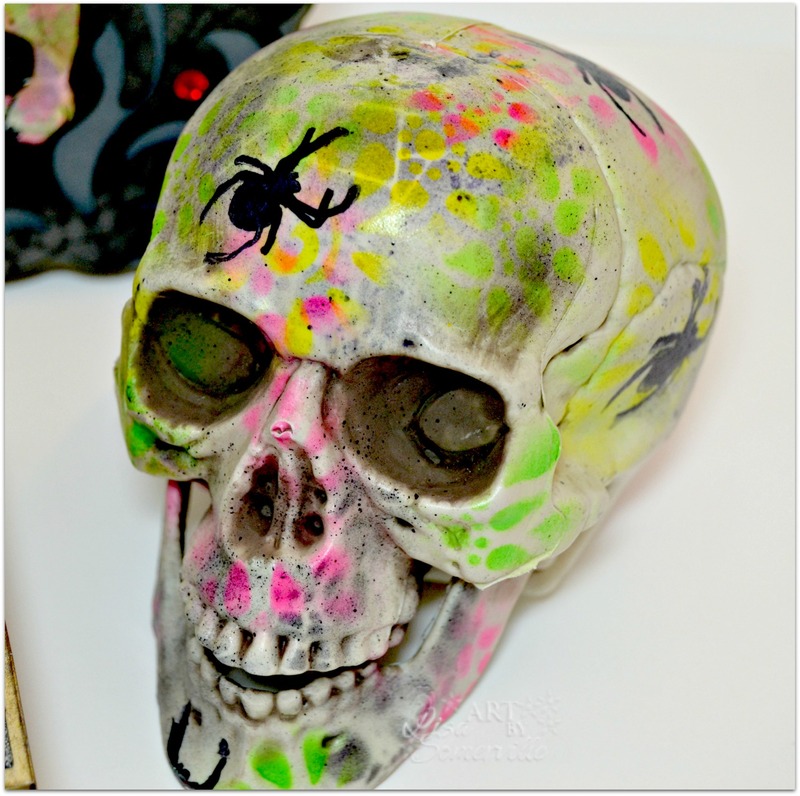 Love the punch of neon... give your projects a "punk" edge!! Reminds me of graffiti art!! Totally love it! !